Michael A. 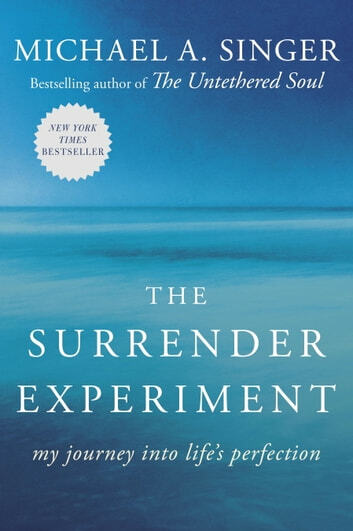 Singer, author of *The Untethered Soul, *tells the extraordinary story of what happened when, after a deep spiritual awakening, he decided to let go of his personal preferences and simply let life call the shots. As Singer takes you on this great experiment and journey into life’s perfection, the events that transpire will both challenge your deepest assumptions about life and inspire you to look at your own life in a radically different way. I couldn't put the book down. It was fascinating to follow Michael's path from student, to yogi, to CEO. It's one thing to hear about living a life of non-resistance or letting go, but its another thing to see if put in action and fully realized. I really enjoyed the book and felt a wonderful sense of peace and inspiration after reading it. Enjoyed this book as much as his The Unteathered Soul book. Michael is inspiring to just let go, let be, and acceptance. You feel peaceful reading his words.